Crystal Clear Mic enhances voice clarity & background noise reduction essential for gamers, Skype/VoIP/conference calls, commuters & podcast recordings. SteelFlex Arm for perfect microphone positioning. Convenient Control Clip features in-line mute and rotary volume controls. Source Compatible with all smartphones, tablets, PCs and notebooks via 1/8" (3.5mm) plug. Headphone Compatible with all V-MODA Crossfade series and 3.5mm (1/8") cable input headphones such as Beats Solo, Studio and Mixr. 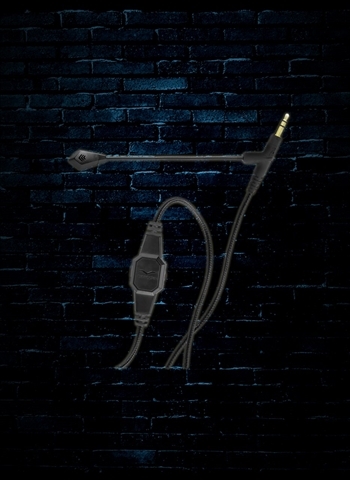 Y Adaptor included for computers requiring separate mic/headphone inputs.